Always ready to help horses achieve their best quality of life, Accuhorsemat is jumping into service by being a sponsor of the “Hoedown at Hagyard”— an event held during the Rolex Kentucky Three-Day Event to benefit the Retired Racehorse Project (RRP). With the Equestrian Sport Productions (ESP) Spring Series in its second week of competition in Wellington, Florida, horses and riders are enjoying competing in the international ring with near-perfect weather conditions. Colleen Elliott, co-founder of the product’s North American distributer, Acuswede, joined Dr. Wendy Ying and Glenn the Geek on theDriving Radio Show podcast to speak about the Accuhorsemat, its origins, and its benefits for horses. 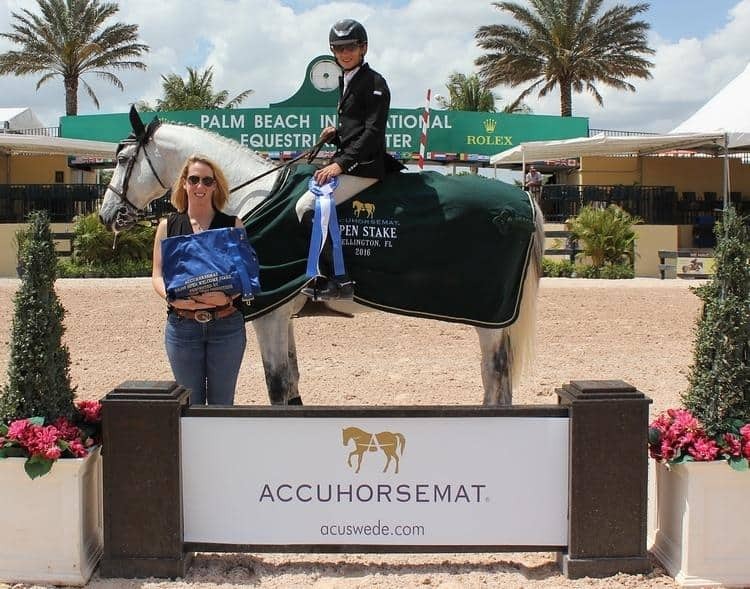 Accuhorsemat is leaping into spring by sponsoring the Equestrian Sport Productions (ESP) Spring Series, held at the Palm Beach International Equestrian Center in Wellington, Florida. 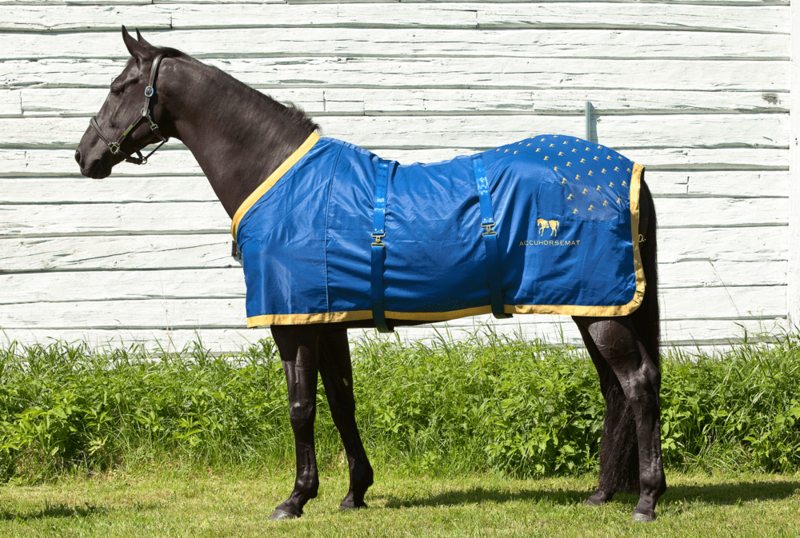 For equine enthusiasts who want to improve their horse’s wellbeing, the new Accuhorsemat offers a simple and innovative solution. 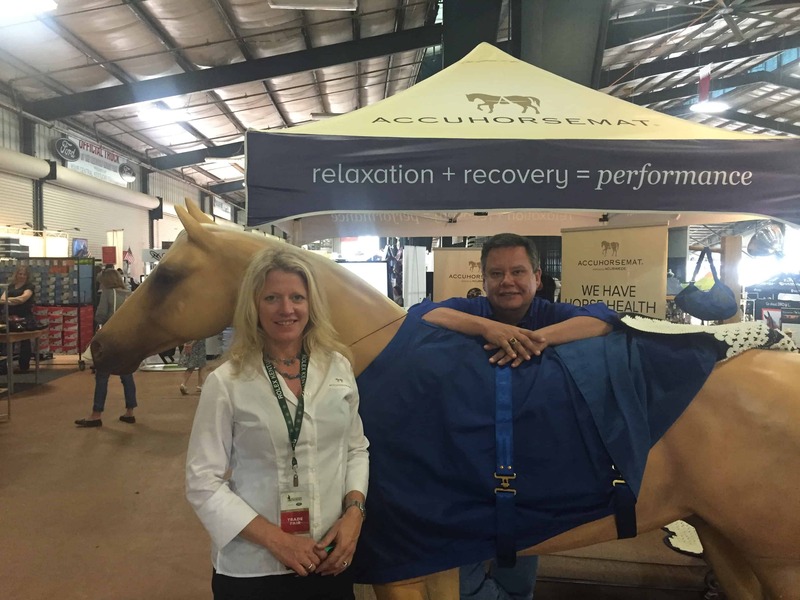 Accuhorsemat is a non-invasive acupressure horse blanket, designed to promote healthy circulation and recovery through increased blood flow, toxin release, and muscle relaxation. The 2016 Rolex Kentucky Three Day Event has recently conculded and was a favorite event for the equestrian community for another year. There was never a dull moment as competitiors converged from all over the world to compete in North America’s premier Three-Day Event competiiton. Germany’s Michael Jung was victorius in the competition; and on the sidelines, Accuhorsemat also came away with a winning year.